The most significant consideration for most first-time investors is how big their deposit should be. Whether it’s in savings, or in the form of equity in your own home, this can be a difficult question to answer. While many experts suggest property buyers save for 20 per cent of the price of a house, it is possible to enter the market with as little as a 5 per cent deposit, Zoran Solano, senior buyers agent from Brisbane-based Hot Property Specialists said. But an investor would also need enough to cover purchase costs, such as a building and pest inspection and conveyancing fees, and stamp duty. Depending on the property, this could be a hefty sum. For instance, given there are many homes in Queensland for under $400,000, an investor could consider saving $20,000 deposit plus the funds needed for costs as a “benchmark” before they look to buy. Stamp duty on a $400,000 established home would be about $13,500. Costs for inspections, such as building and pest inspections, can be around $400 to $500, while legal fees can vary significantly but are usually around $1000 to $1500. This could include properties requiring future renovations that can be bought and rented out while saving the needed funds. But other industry experts argue a larger deposit is a necessity, including Perth-based LMW Property Advisory director Ben Lamers. “We do not recommend going below 20 per cent as a deposit because paying mortgage insurance only insures the bank, not you,” he said. A lower deposit also leaves investors at the mercy of any price falls, as it could mean the property would be in ‘negative equity’ – where you owe the bank more than the property is worth. If you were to buy the same $400,000 home with a 20 per cent deposit, you’d need to save $80,000, plus any additional buying expenses, such as building and pest inspection and conveyancing costs. Depending on where you buy, the size of the upfront deposit will vary. When you know what percentage deposit you’ll likely need, you can then start considering what that will look like in dollar-terms. “A quality investment probably starts at $400,000 within 20 kilometres of the Perth CBD,” Mr Lamers said. This would require the same $80,000 deposit, plus costs, as in the Brisbane scenario. Another proponent of buying when you’ve saved 20 per cent is Buyer Solutions director Janet Spencer. As she is based in Melbourne, and prefers investments in the $400,000 to $600,000 bracket, this could see a deposit of up to $120,000 needed. Melbourne-based Jarrod McCabe, associate director of Wakelin Property Advisory, said investors could consider 10 per cent as a minimum, but 20 per cent as a “prudent” goal. “Regarding that $450,000 investment, a 10 per cent deposit will equate to $45,000 in savings and $90,000 for a 20 per cent deposit,” he said. For those with less to spend, regional towns could be a consideration, he said. “If you are buying in regional areas, [an option is] looking for period style homes within one to two kilometres of the CBD of regional cities likeGeelong, Ballarat and Bendigo in Victoria or Wollongong in NSW,” he said. But Propertybuyer chief executive Rich Harvey warned not to be tempted into buying solely due to low prices. For instance, a 20 per cent deposit on a $200,000 property is $40,000 – but it’s $40,000 that could have been better saved if the area performs poorly. “There are some far smaller regional towns with much lower prices but as a savvy investor you must ensure the town has sound economic drivers for its economic future, don’t just be lured by lower prices in sub-$200,000 range,” he said. In Sydney, where property prices are proportionally much higher, it can be even more difficult to reach the 20 per cent ideal. To buy a median priced property of about $1.1 million, you’d need $220,000. 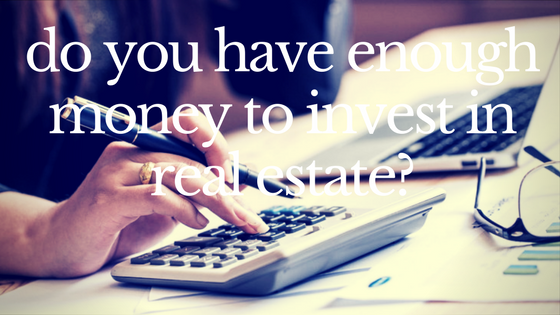 For those with all the funds in the world, it makes sense to buy a good investment property sooner rather than later. But for those waiting to save more, it’s worth considering whether it’s better to buy a sub-par investment now, or to buy a great investment later. Co-founder of buyer’s agency CohenHandler, Simon Cohen, said it’s far better to focus on a strong-growth area. “Look for investment properties in areas that will have long-term capital growth, for example the outer areas of Sydney where we’re seeing new amenities pop up,” Mr Cohen said. For those with less to spend, he said Brisbane’s Ascot, Clayfield,Wooloowin, New Farm and Paddington are likely candidates for growth. But if you’re “scraping” to get into property investing, it might be worth rethinking, Gold Coast Property Advisors buyers agent Tony Coughran said. “The reality of it is that good cashflow is really important if you are going to support a quality investment property. This could include building and pest inspections, legal fees and research, as well as stamp duty.